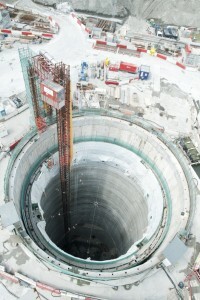 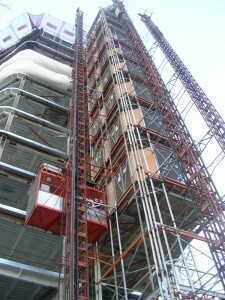 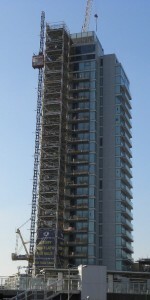 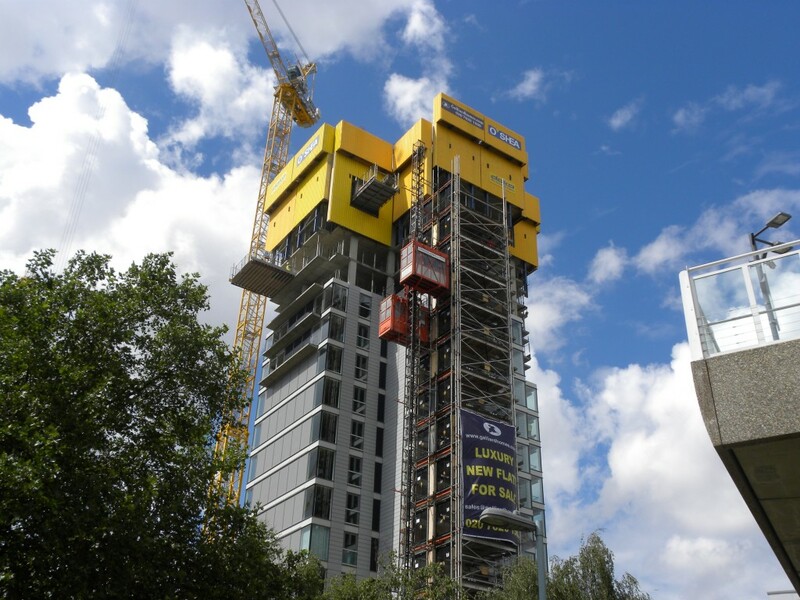 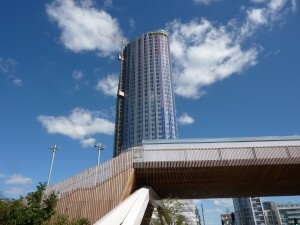 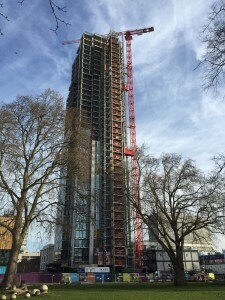 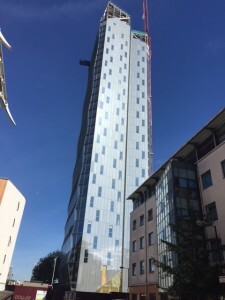 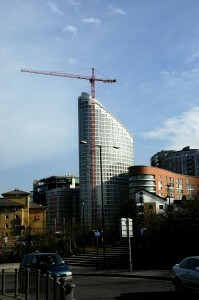 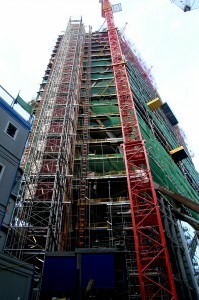 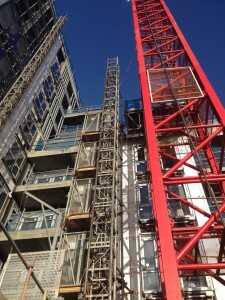 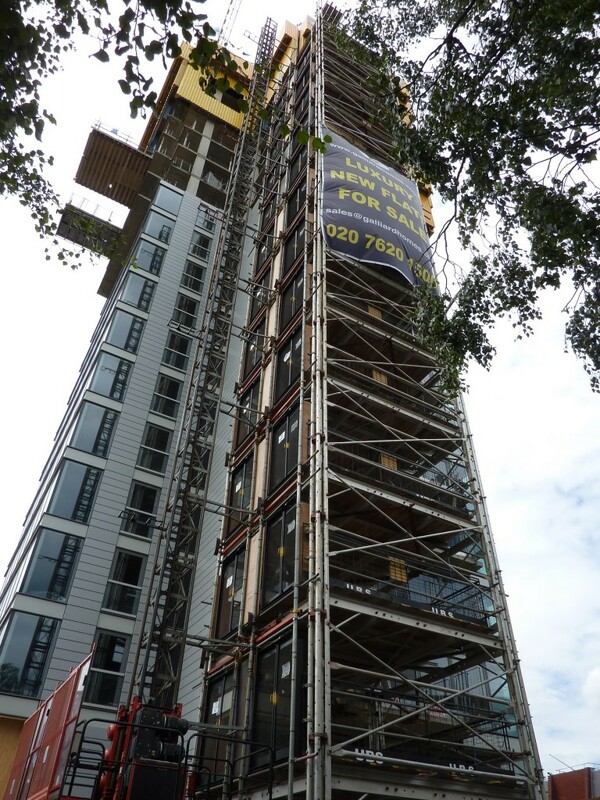 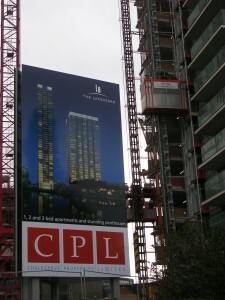 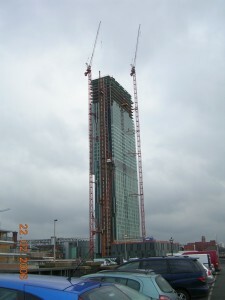 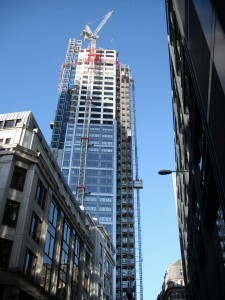 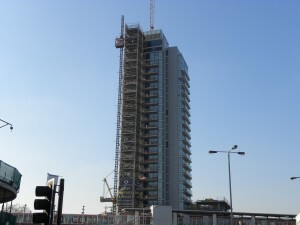 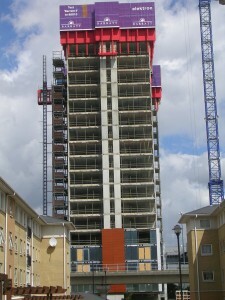 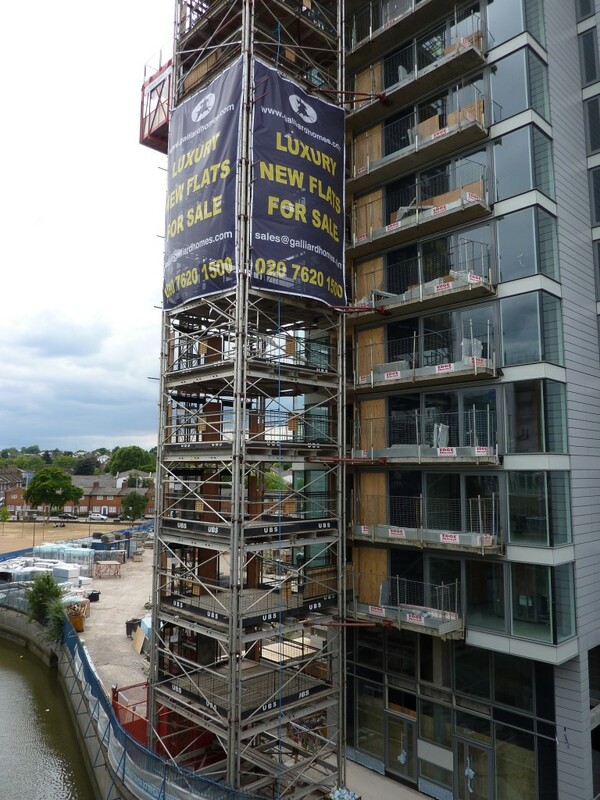 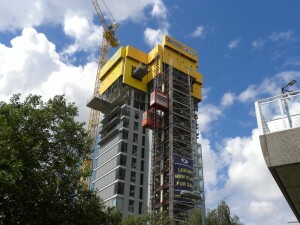 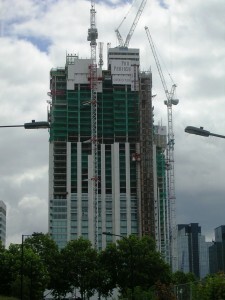 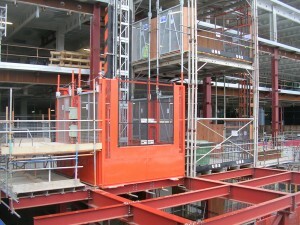 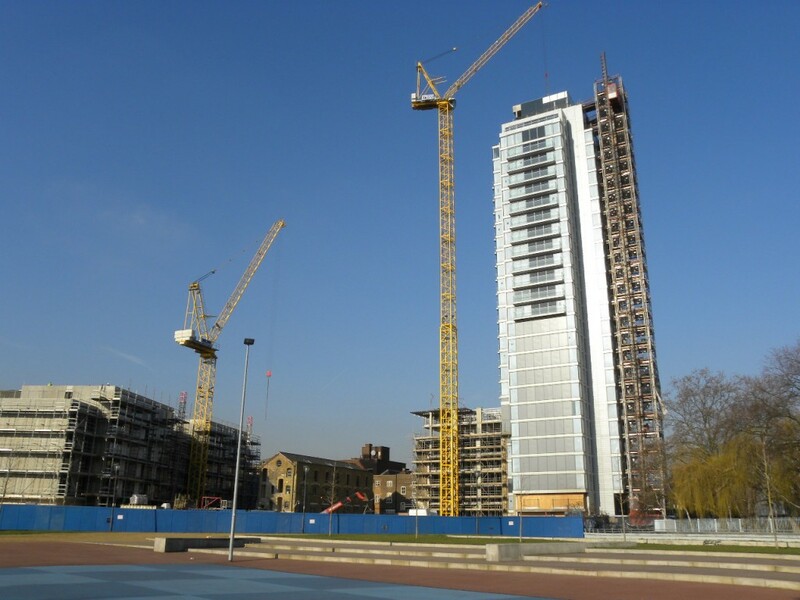 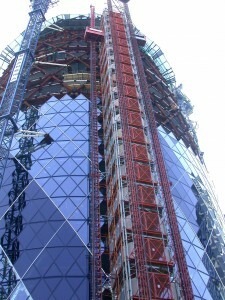 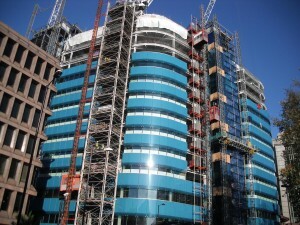 UBS supplied a Common Tower System for access to all 27 storeys of the development. 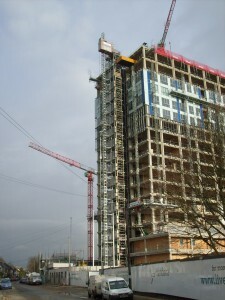 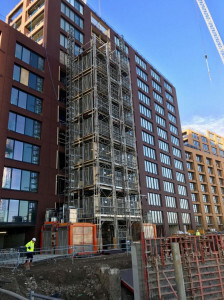 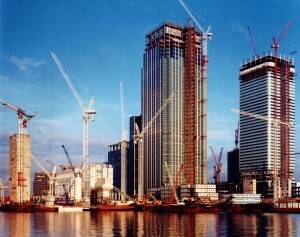 The particular advantages of the Common Tower on this project, are that the building is very close to nearby waterways, and as such a hoist cannot be positioned directly to access the building. 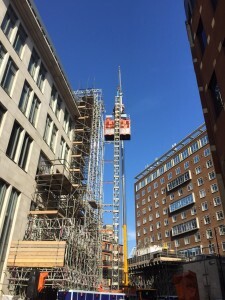 So the Common Tower allows the hoist to be positioned off the corner of the building, and tied to the tower, which in turn is tied to the building. 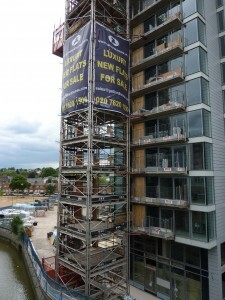 The Distillery Tower in Deptford. 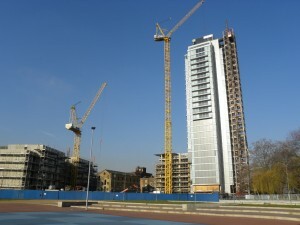 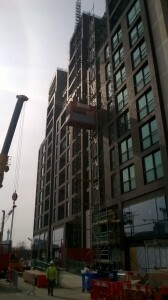 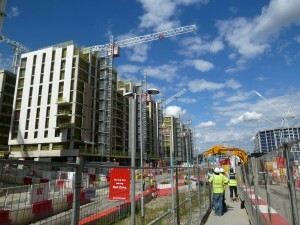 The tower is on the old Seagar Distillery site in Deptford, a short distance from Canary Wharf. 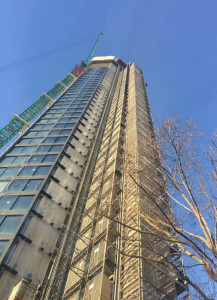 The tower will be predominantly residential apartments, but at the roof level will have a Sky Gallery, a feature of this particular building.